LOOKING FOR A NEW VACUUM CLEANER? LET DIRTBUSTERS HELP. 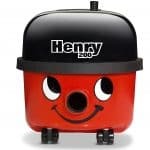 When cleaning carpets here on The Wirral and Liverpool I like to use Kirby vacuum cleaners in preparation for my prefered method of carpet cleaning – hot water extraction (steam carpet cleaning). I have tried others and see different makes in my clients’ homes, but I like the weight and power of Kirby’s. 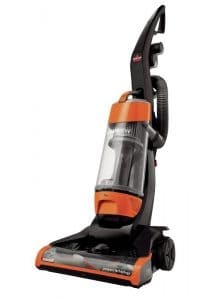 Since 2017 the power of vacuum cleaners has been restricted to no more than 900w. Not a great move in my personal opinion, as the low power possibly doesn’t save energy, as the user will inevitably take longer to vacuum the carpeting, therefore using more power. There are also new regulations regarding the noise that these suckers can make. There are a couple of things to think about before you spend your hard earned cash – do you prefer a bagless or bagged machine, and does an upright suit you more than a cylinder model. Whats the difference? Well, a bagless cleaner will be more convenient, whereas a lot of bagged vacs are lots cleaner with there filtration systems. 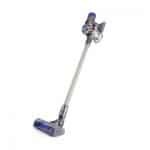 A cylinder vacuum cleaner will be easier to store, where an upright may be zippier across the floors. LET’S TAKE A LOOK AT WHAT VACUUM CLEANERS ARE ON THE MARKET, AND WHAT THE BEST CHOICE BUYS ARE. These chaps have been around for yonks, and are very popular with domestic cleaning companies. The advantages of these Henrys (and Henryetta’s) is cost. You can pick these up at the Supermarket for under £100. They are very durable due to the strong construction. The real disadvantage is the lack of flexibility when it comes to cleaning carpet edges. Henrys can also be a little on the heavy side for some. A lot of my customers with pets have these Dysons. They can be a little pricey at £300 +. My customers tell me that they love the weight of the Dyson, but is let down by having to empty it out very often. This vac charges quickly, but the battery doesn’t last very long. These seem to be very versatile with all of the different tools supplied. Good at sucking up pet hair, although the small receptacle fills up quickly. It has a really good amount of suction, but this can make it hard to use on thin pile rugs. Miele has a reputation. You can see these models out there for around £300. Due to the filters, its a good choice for allergy sufferers. Pro here is the great suction, one con is the cost of replacement bags. 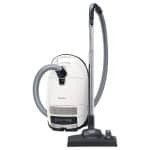 SO WHEN IT COMES TO CHOOSING A NEW VACUUM CLEANER, DECIDE ON UPRIGHT OR CYLINDER, BAGGED OR BAGLESS AND GET INTO A SHOP WHERE YOU CAN PICK ONE UP AS SOME ARE A LOT HEAVIER THAN OTHERS.